Dude Ranch Vacation Packing List. What to Wear? What to Pack? So you’ve booked your dude ranch vacation and are counting the days until you arrive. Now you’re asking yourself, what do I wear to a dude ranch? What do I pack for a dude ranch vacation? It can be difficult to know where to begin when packing for such a unique vacation. Read on for some advice on what to pack for a dude ranch vacation and a dude ranch vacation packing list. First on your dude ranch vacation packing list is what to wear. 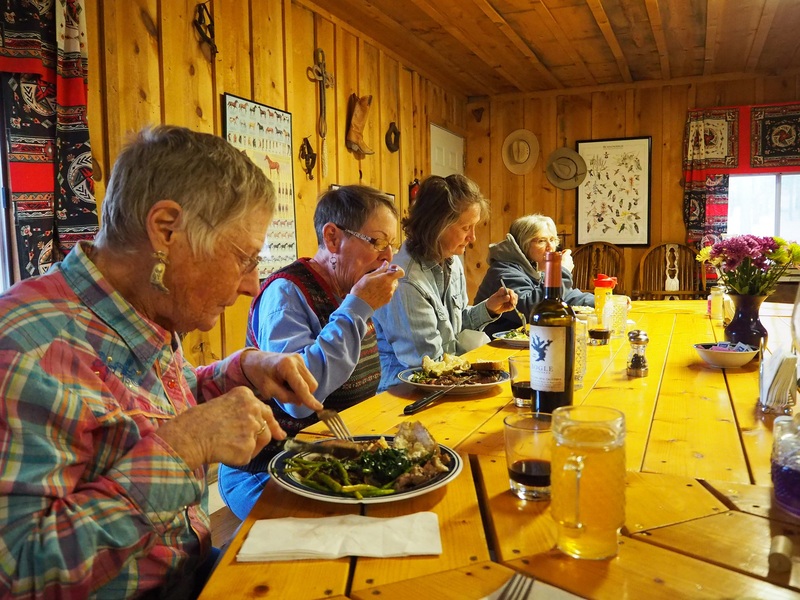 Geronimo Trail Guest Ranch is a small, informal ranch so dressing for meals is not required. In fact, guests often come to breakfast in their pajamas. We want you to be comfortable. When you hit the trail, the weather is a big factor to take into account. Geronimo Trail Guest Ranch is located west of the Continental Divide in the mountains of southwest New Mexico. We are at 6,500 feet elevation and that means summer days are pleasantly dry (no humidity!) and comfortably warm, while mountain evenings are cool and crisp. It is not uncommon to get 40-degree temperature swings from daytime high to nighttime low! No matter what the weather, a cowboy hat with stampede string is recommended. Not only will you look cool, but it will keep the sun off you. And a stampede string will ensure that the hat stays on your head. As far as jeans, we recommend Wrangler brand jeans as they don’t have the double sewn, inside leg seam. This helps to reduce skin chafing. If you don’t have Wranglers, bicycle shorts or pantyhose can also help prevent chafing. When it comes to shirts, both long and short sleeves are recommended. Because of the temperature swings, layering is a good idea. Even if it is warm, long sleeves are still good protection from branches and the strong sun. The only thing we are strict about is riding/cowboy boots. We require boots with a heel and smooth sole. Don’t worry if you don’t have a pair of cowboy boots, we do have some to lend (please ask about sizes). Boot socks or tall socks that go as high as your boots will keep you comfy in your boots. Tennis shoes or hiking boots/shoes will come in handy if you decide to do some exploring around the ranch. 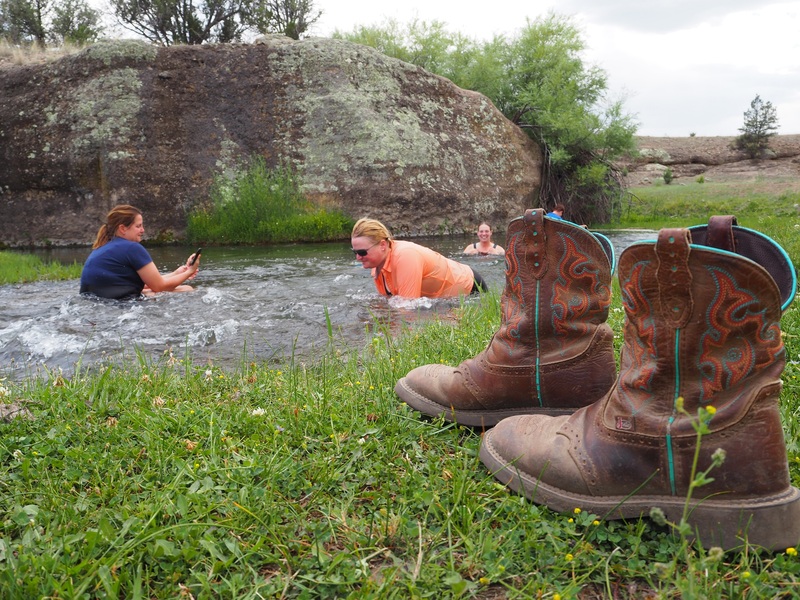 Some guests choose to bring water shoes for wading/swimming/playing in the rocky creek during our picnic rides. In the spring and fall, a heavy riding coat will keep you warm on those cool mornings and evenings. The rest of the year, a medium weight jacket will be just fine. Rain gear isn’t a huge necessity in New Mexico but we do provide full length riding rain slickers for all guests for those unexpected afternoon rainstorms. It is a matter of personal preference if you want to bring riding gloves and chinks or chaps. We ask that guests not bring their own tack. We have excellent quality tack that is comfortable for our guests to ride in AND fits our horses. This is what you will ride in during your stay at our ranch. Personal items to pack include a toothbrush, shampoo, lotion, band-aids, & other toiletries, camera, sunscreen, ChapStick, and sunglasses. You don’t have to worry about towels & other bedding, we provide those. Hairdryers are not provided & use is discouraged. We are off the grid and they draw too much current on our electrical system. Finally, we don’t carry a liquor license so bring what you like as far as beverages (beer/wine/liquor). We do provide water bottles to carry when riding or hiking. 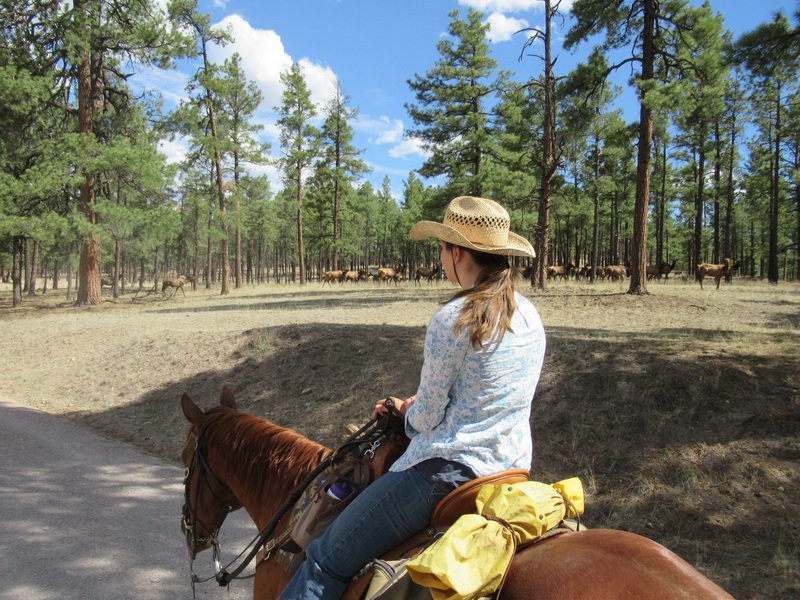 So are you all ready to get started on your dude ranch vacation packing list? 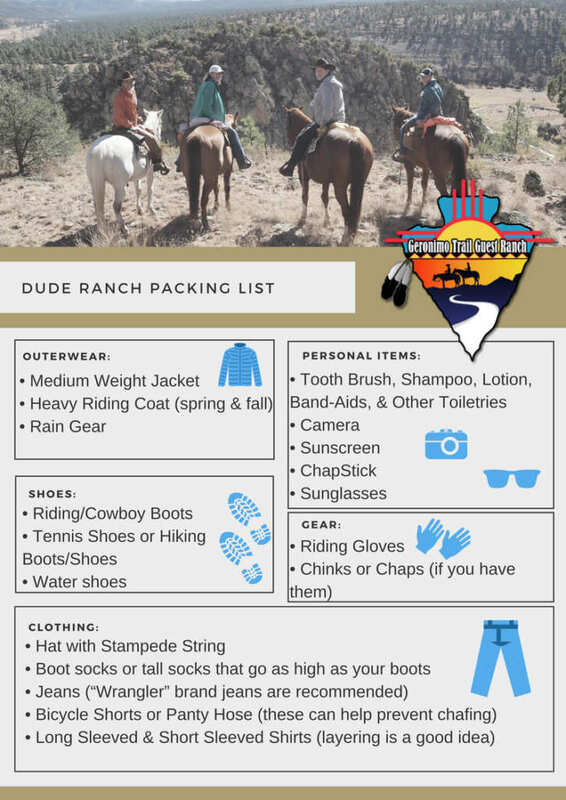 Check out our page for items ( https://www.geronimoranch.com/our-ranch/items-to-bring/ ) to bring and print out our handy dude ranch vacation packing list below to keep you on track.